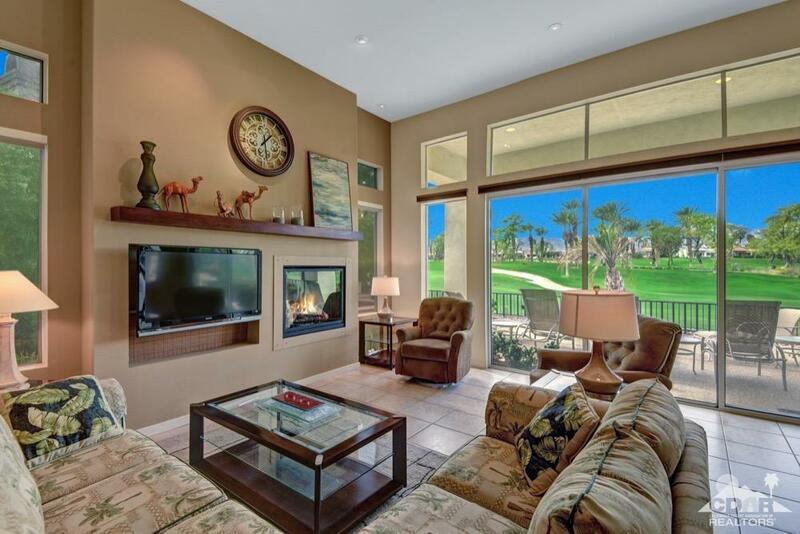 This unique and popular Palo Verde 3 floor plan is situated on the 9th hole of the Grove golf course. 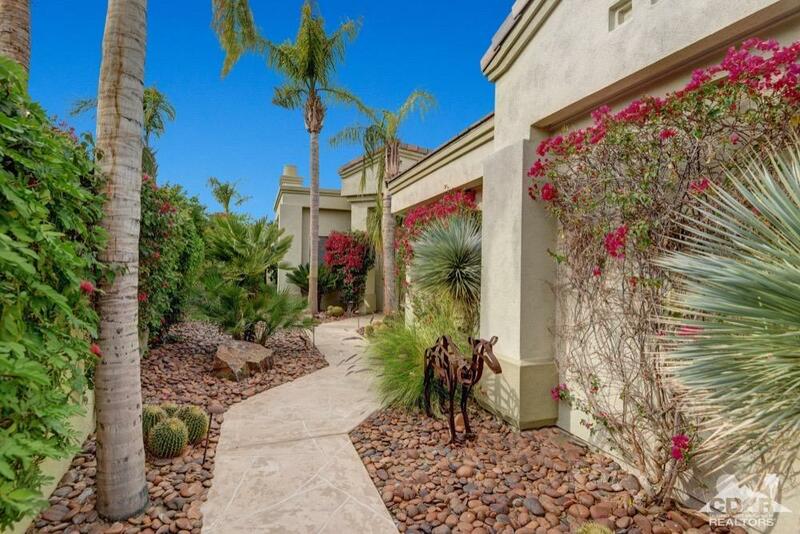 This home is well appointed with a large master suite, 2 guest bedrooms, 3 & a half bathrooms, plus a separate office situated off the great room. Impressive views of the San Jacinto mountains can be enjoyed from your extended patio with heated spa or just simply just relaxing in your living room. The Kitchen/Dining combination is ideal for entertaining and catching those amazing desert sunsets. Indian Ridge offers 36 holes of Arnold Palmer golf, 14 tennis courts (two clay), a full health club and spa, an aerobics pool, lap pool in a resort style environment. Add JK's for breakfast and lunch casual dining by the pool or the Main clubhouse for lunch and dinner. There is much to do at Indian Ridge with activities for every interest imaginable. 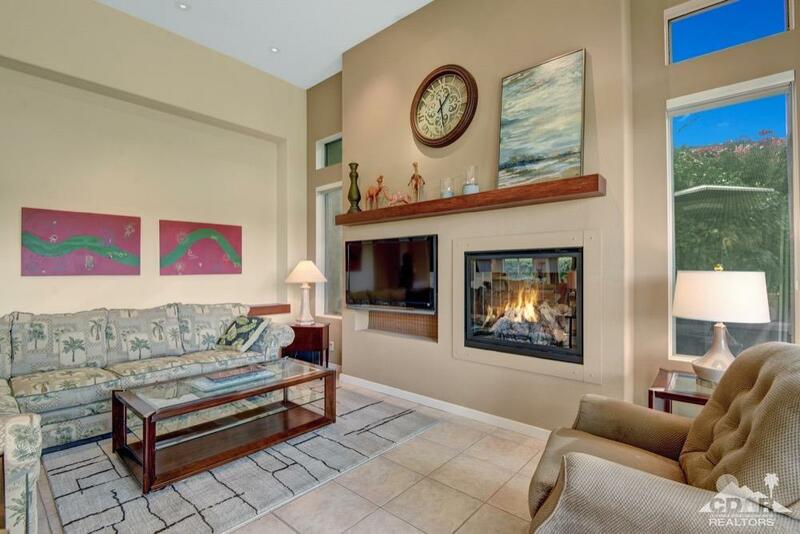 This must see home is perfect for a winter retreat or a full time home. Furnished per inventory list. Club or Golf Membership available.